The founders of Mori Collective, Tytti Alapieti and Jenni Koli, get their inspiration from nature, geometry and symbolism. 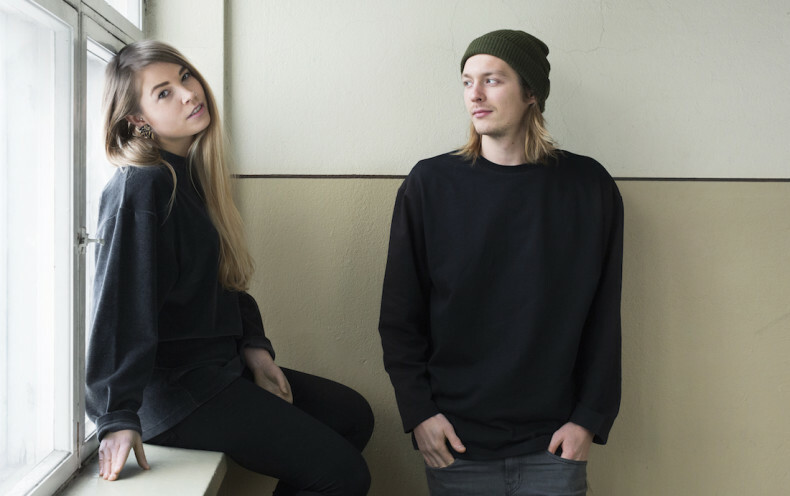 These two snowboarders put their talent and values of responsible clothing industry together a year ago, and today Tytti and Jenni are celebrating the first birthday of Mori Collective! We have also the honor to have Tytti and Jenni as our first Guest Bloggers. 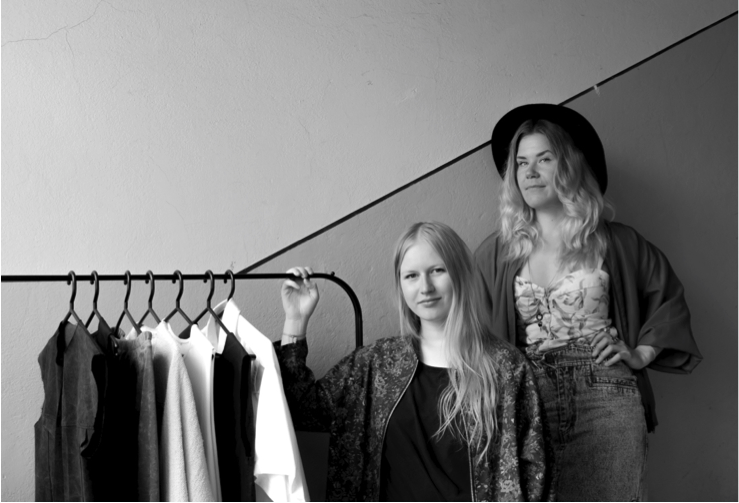 Tytti Alapieti and Jenni Koli, the founders of Mori Collective. Photo by Aino Huotari. Where does the name Mori Collective come from? Tytti: Some years ago, I was obsessed to come up with a name for a future label. It is really hard to come up with a good one. My boyfriend was studying Japanese and one day he just started to list my favourite things in Japanese: yama – mountain, yuki – snow, mori – forest … I instantly knew that it will be Mori. The word has actually two meanings. In addition to Japanese, it is Latin and refers to mortality and is used in a Latin phrase “Memento mori”. To summarize, the word Mori reminds us not only about the importance of nature, but also our limited time to realize our dreams. What a great double meaning! Attina Sweater in coral, dyed with natural dyes. Photo by Aino Huotari. Tytti and Jenni: We met many years ago through a mutual hobby, snowboarding. Soon we realized that we shared many other interests as well. 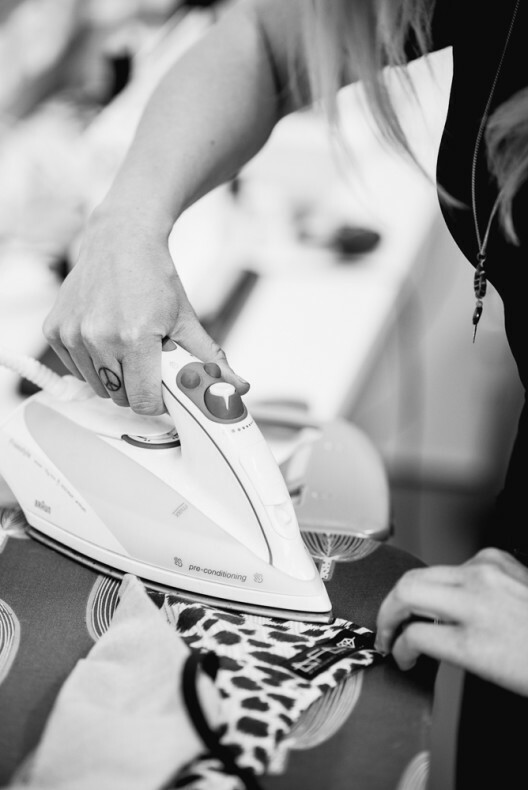 Tytti studied Textile and clothing technology at Tampere University of Technology and Jenni studied Fashion industry, including design and marketing, in Helsinki Metropolia University of Applied Sciences. Jenni: During my studies, I tried to figure out what I wanted to do, is there any sense in this crazy fashion business. I came to the conclusion that things could be done differently, better. I had been working as a salesperson in different clothing stores for over ten years, and enjoyed my work, but I was longing for something of my own. Tytti: I really liked my studies because it combined textiles, natural sciences and business profoundly. However, I also love designing and experimenting new things, and the university studies were mainly lacking practice. The Sea Shell Earrings and Necklace. Photo by Aino Huotari. You had the mutual dream of an own company some day, when did you actually decide to work together? Tytti and Jenni: Starting up was a long process that had to wait for the right timing. The decision of starting up the company was not made on a whim. We both had been thinking and planning of our own companies for a long time. Also, the brand names were ready: Tytti had Mori and Jenni Diamonds From Dirt. Tytti: I didn’t want to start a company just by my self. At the same time I knew that if I had just searched for a new job, I would have thought about starting my own company every day. It is so much more fun to make things together, combine our knowledge and ideas, and share the workload! We decided that the best solution is to create one company that included both brands. The Mori Collective was born. This first year of Mori Collective has been great time to really make things with own hands such as silkscreen-printing, test marbling and dyeing with natural dyes, and of course sew a lot. These things lacked from studies and are exactly the things I had missed for many years. Mori Collective makes also unisex -clothes, for example this black sweater. Photo by Vanessa Forstén. Where from your ideas for clothes come? Jenni and Tytti: We are inspired of nature, geometric shapes and symbolism. We love 90’s street styles as well as Nordic minimalism, so our inspirations are quite mixed combos. Our designs are also very material based. We rather find the perfect organic or recycled material first, and then think what to make out of it, rather than making the decision of the final design first and then trying to find materials for it. Tytti: My main studies were about clothing production so this also subconsciously affects my designs. For example, I like details that look interesting but are still simple to produce such as the Ariel dresses with a special cut on the back. Jenni is more artistic from that point of view, and she has a lot more complex designs such as the fabulous reversible Diamond top with elastic bands forming a diamond at the back. That one requires plenty of handwork! 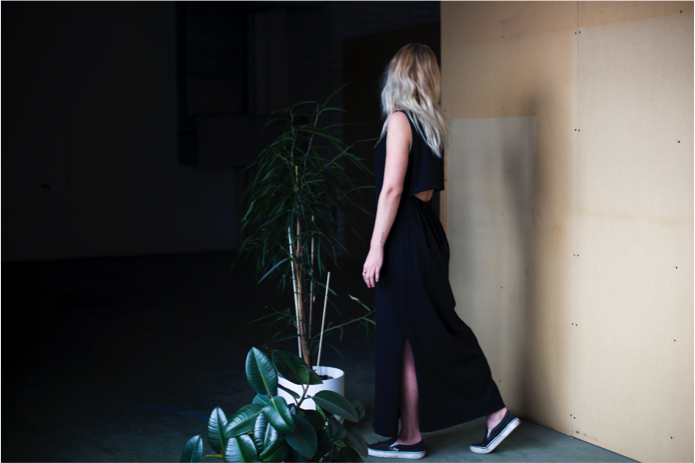 The Ariel Maxi Dress. Photo by Aino Huotari. The Diamond Top. Photo by Aino Huotari. Jenni: It has been interesting to notice that our designs end up matching even though we haven’t actually been designing them together so far. For example, our first t-shirt prints were all somehow related to hands; my skeleton peace hand sign and ‘Have a heart’ print, where there is a heart in a hand as well as Tytti’s hand print that was inspired by Fatima’s hand. The Artic Sea and fjords in Norway inspired our summer collection Northern Seas. The laser cut jewelry takes shapes of seashells, and names for Mori’s clothes are from My Little Mermaid. There will be coming more dresses also in ocean green color, so stay tuned! How can sustainability be seen in your production? 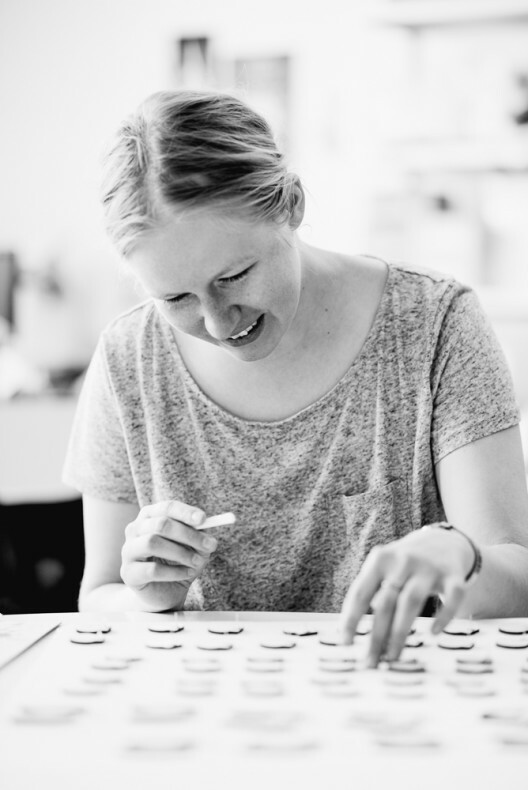 Jenni and Tytti: Mori produces small series in Estonia, in addition to pieces made in Finland. GOTS certified organic cotton from Turkey, textile industry excess and recycled fabrics are used as well as wool fabrics woven in Europe. 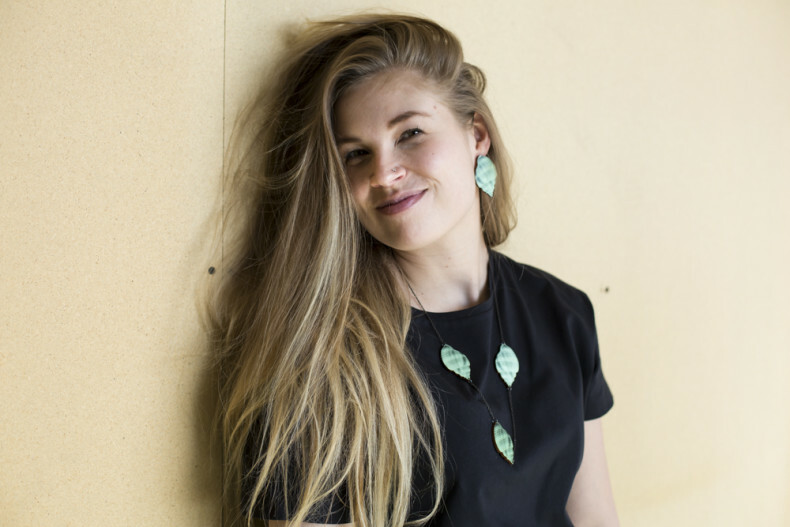 Our jewelry is made from birch, and they are laser cut and assembled in Helsinki. Unisex t-shirts and tote bags are made out of 100% recycled textile industry waste by Pure Waste, and printed in Helsinki. 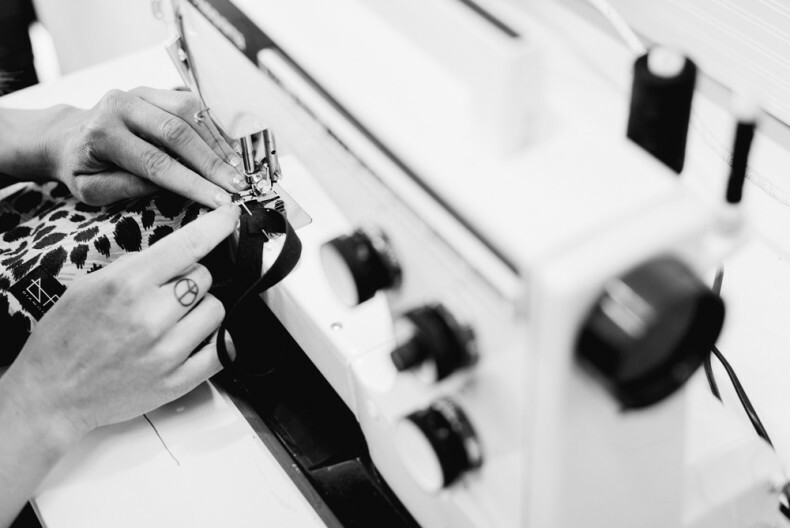 Diamonds From Dirt makes all clothes and accessories from recycled materials in Finland. Old and used fabrics of good quality are excellent materials for new creations. There are also lots of partly destroyed materials that can be used, and otherwise these materials would end up in the landfill. This is also where the name DFD, Diamonds From Dirt comes from. At work. Photos by Matti Ollila. How do you feel about the fashion business? Jenni and Tytti: Overall, clothing industry is twisted for the most parts and lacking transparency. People are used to buy cheap clothes, but do not see the hidden costs of the global and complicated supply chains. Jenni: I get anxious when thinking of mass production, and I prefer not to produce anything unneeded. On one hand I do not want to increase the amount of clothes in the world but on the other hand I want to increase the supply of better options. In the world of fast fashion this is a huge challenge. However, we believe that people are now more aware of the effects of their choices. Tytti: Fashion production cycles are frustrating! Either the collection is started to plan and produce few years in advance or then the pace is accelerated so that there are new batches in stores every week. The con in both is that it is a challenge to estimate what the customers want and a lot of stuff is unsold. At the moment, Mori’s solution is to produce small series close-by in quite short time cycles, but I would rather go towards customization and made-to-order in the future, rather than any of the two described above. Jenni and Tytti: All together, we believe that it is possible to change the way of consuming step by step. 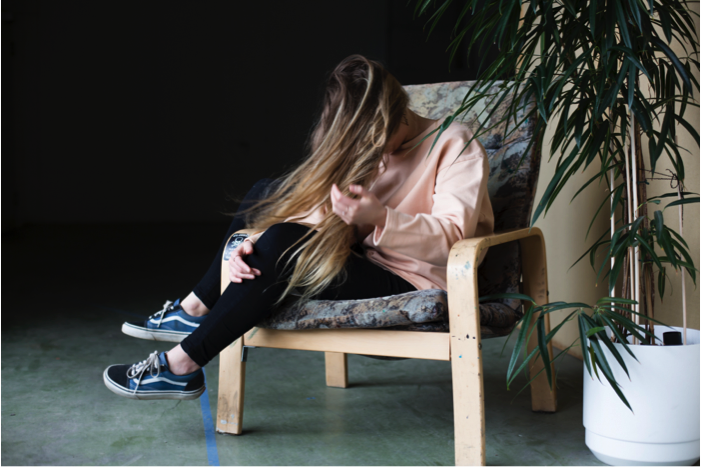 We would like to take part in this change by offering sustainable, long lasting and damn good looking alternatives to disposable fashion that is destructive to the nature and unethical to the workers. At work. Photo by Matti Ollila. Has entrepreneurship been what you expected? Jenni and Tytti: The first year has been a great journey. It has been amazing to decide and design everything by ourselves, but there has been challenges also. On the other side of the freedom are endless task lists and long hours. But it is totally different to work for your own thing. Uncertainty is a familiar feeling. Starting up a company is all about coping with uncertainty. It is both thrilling and rewarding at the same time! What are the highlights of Mori Collective? Jenni and Tytti: There have been many memorable moments! Photoshoots are our favourites, such a fun days with our diverse team members. We have been extremely lucky to have these amazing, multitalented friends around, helping us in so many ways! One of the highlights of the past year was to produce the jackets for Sandhja & Akkabellas for the Eurovision song contest last May. These DFD bomber jackets are made out of recycled fabrics, and the tigers and panthers at the back are cut out of old WWF print fabrics made in the 90’s. In the future, we aim to continue seeking better options and roads less travelled. There are endless opportunities to learn more, create new things and be part of memorable moments. The Mori Hand T-Shirt, also an unisex piece. Photo by Aino Huotari.